Saint Vincent de Paul, Saint Louise de Marillac, and Saint Elizabeth Ann Seton. 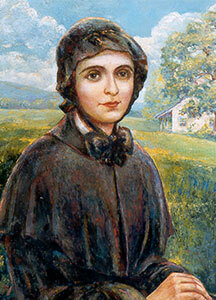 Closest to us in time and influence is Saint Elizabeth Ann Seton (1774-1821), who founded the Sisters of Charity in the United States in 1809. Elizabeth had come to know the apostolic spiritual tradition of Vincent de Paul and Louise de Marillac through her connections with the French Sulpician priests in Baltimore. She recognized the power of this spiritual way for her own life and for forming her community of sisters. She adopted the rule of the Daughters of Charity, adapting it where necessary to the American situation. Elizabeth’s experiences as wife, mother, widow, and convert to the Catholic faith during the dawning days of the United States, added vibrancy to an already rich tradition. 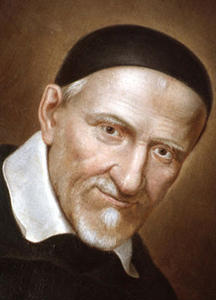 Saint Vincent de Paul (1580-1660), known since the 17th century as the “Apostle of Charity,” is widely recognized for seeing the importance of organizing the service of the poor. Aside from the Common Rules written for the Congregation of the Mission, which he founded, Saint Vincent did not write any systematic treatise on his spirituality. Rather, he followed and inspired others to follow a spiritual way that began with contact with God in daily experience. For Vincent, living preceded teaching, words followed action. In each parish he served, Vincent organized confraternities of women and men to care for the poor in their midst. He recommended to them a simple rule of life, a spirituality to nourish and sustain their commitment. 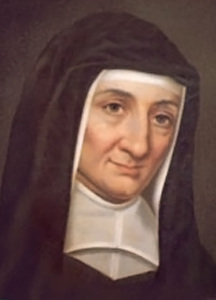 Saint Louise de Marillac (1591-1660) shared the spirituality and vision that inspired Saint Vincent, and her collaboration was crucial in implementing it. One of her earliest tasks was to supervise the parish-based confraternities. Among these groups, the confraternities of wealthy women in various parishes in Paris became the most well known as the Ladies of Charity. It was actually from a desire to assist the Ladies of Charity in their work, that together with Vincent, Louise founded the community of Daughters of Charity, a society of vowed apostolic life, in 1633. Louise had her own special gifts for this work, and she is credited with designing the formation of these servants of the poor. For further information about St. Vincent de Paul and St. Louise de Marillac, please see http://famvin.org. The Sisters of Charity Federation of North America [The Federation] is a voluntary membership association of 13 congregations of women religious, including the Sisters of Charity of Seton Hill. Visit Sisters of Charity Federation for additional information. A network of people in the Vincentian Family connecting, collaborating and evangelizing: a living, growing community of more than 2 million people seeking to follow Christ, the evangelizer of the poor in the model presented by the life of Vincent de Paul and his collaborator, Louise de Marillac.